An award-winning program that helps rehabilitate prisoners and protect the public by keeping them from re-offending is falling victim to budget cuts. The Lifeline program, which provides support for those serving life sentences and helps re-integrate those who are released on parole, has been operating in Canadian prisons for more than 20 years. Rick Sauve, who spent 17 years behind bars and has been out for almost two decades, says he survived thanks to the program he now works for. "When you get a life sentence, you think your whole world is over," Sauve told CBC News. "There’s not a lot of help in there. You’re kind of just left to flounder." Skip Graham, who works with the St. Leonard’s Society, which oversees Lifeline, believes the decision to cut the program flies in the face of good corrections policy and has nothing to do with saving money. "It’s the most practical, humane program that has proven itself, and it’s the one they’ve decided to eliminate, so it’s just politics," he said. "The lifeline program is really the [Correctional Service Canada's] only strategy in addressing the long-term offender, which makes up about 20 per cent of the population," Graham added. Officials with CSC declined to be interviewed, but in a statement they said the program was not proven to be cost-effective. Julie Carmichael, a spokesperson for Public Safety Minister Vic Toews, told CBC News in an email Monday that evaluation and research findings did not reveal significant results were being achieved by the program. "It wasn’t producing any results that improved public safety. 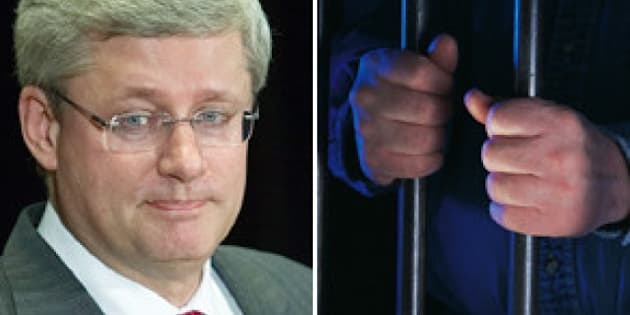 We will not spend a dollar on corrections that is not necessary to keep Canadians safe," Carmichael wrote. However, research by CSC staff reports that inmates involved in Lifeline were less likely to get into problems while in prison or end up in segregation. Additionally, figures show lifers released on parole are among the least likely to re-offend. While Ottawa is giving up on the program, other jurisdictions aren’t. Officials from Colorado are so impressed with Lifeline, that they’re setting up a similar program based on the model here.